Truth Commission for Women from Colombia Systematization of the experience It is essential for an initiative like this in the context of a country like Colombia, where the number of victims has massive proportions, and where it is necessary to establish a basis from which to know what has happened to women in a manyyear- long conflict, which is still generating victims in the present day. The process of truth and memory brings new dimensions with which women analyze the armed conflict, its consequences for them, what peace means for women, and in what kind of country they would like to live. 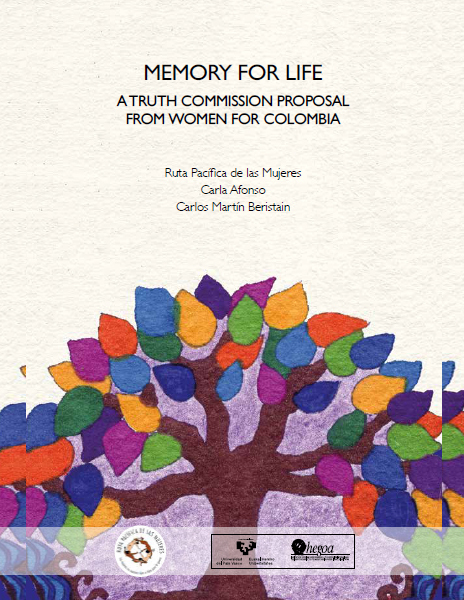 It also explains how truth and memory, if are treated with dignity, are an endless source of reparation and will be a solid foundation for reconciliation between Colombian men and women. Marina Gallego, National Coordinator of the Ruta Pacífica de las Mujeres.